I like horses. Because they are fun to ride. My father took me to ride on the horse. 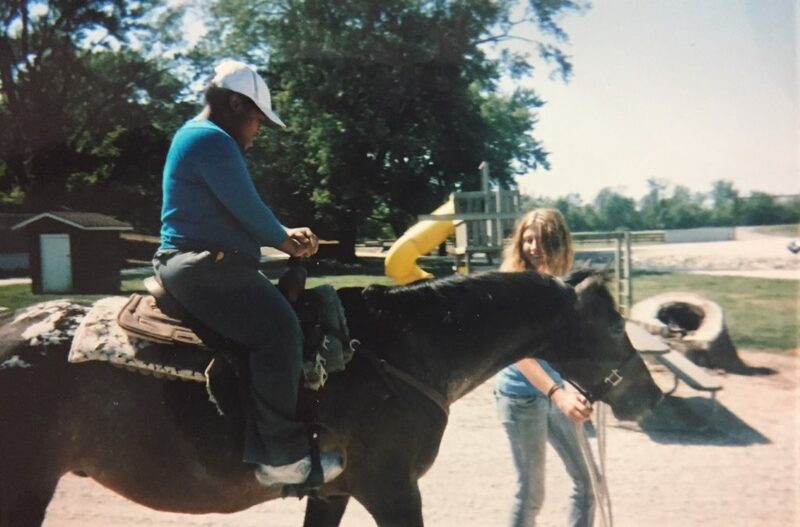 Every year he took me to ride on the horse on my birthday. It was fun. The horse’s name is Jerry the horse. Jerry became one of my best friends, we had connections from the start to be together. I like to ride with Jerry he is the best horse in the world. When I walk up toward the horse. I was not scared, he is the most beautiful horse I ever seen. Someday I’d like to have a horse of my own, because of the activities that horses can do. Horses are good animals because they are compassionate with people. Horses like to graze in the grass. They like to have fun. Horses communicate with other horses. That’s the way I like them. They make me happy inside. I’d like to find a place to go horse riding. Thanks for the great story Abeo! PrevPreviousWelcome Karla to the DSAGSL Team!